Has Samsung FInally Hit It Off After A Dry 2018? The Samsung Galaxy S10 was announced at Samsung’s 2019 Unpacked event on February 20th to a very hyped crowd. This year, instead of the usual two Galaxy S models, S and the S Plus, Samsung announced a staggering three phones, the S10, the S10 plus and the S10 E. Each of the three new phones comes with the blazingly fast Snapdragon 855, a top of the line eight-core processor that was released in late 2018 which allows for fast browsing and app usage. Along with the new processor, each model comes with different amounts of ram and each phone also has different configurations(Basically the more ram you have you can run more, bigger programs, MORE IS BETTER). The S10 E’s base model comes with six gigs of ram and 128 gigs of onboard storage while the higher end configuration comes with eight gigs of ram and 256 gigs of storage. The S10 also has two models, the base coming with 8GB of ram and 128GB of storage while the more expensive model includes eight gigs of ram and 512 gigabytes of included storage. Despite both the S10 and the S10 E having two models the S10 plus has a wild THREE different configurations. The base model of the S10 plus has 8GB of ram and 128 gigs of internal storage, the middle-end version comes with eight gigs of ram and 512 gigs of storage, last but not least the highest-end config comes with 12 gigs of ram and 1TB of storage! All seven of these models have expandable storage so if the included isn’t enough you can always put a micro sd card in with your sim card. 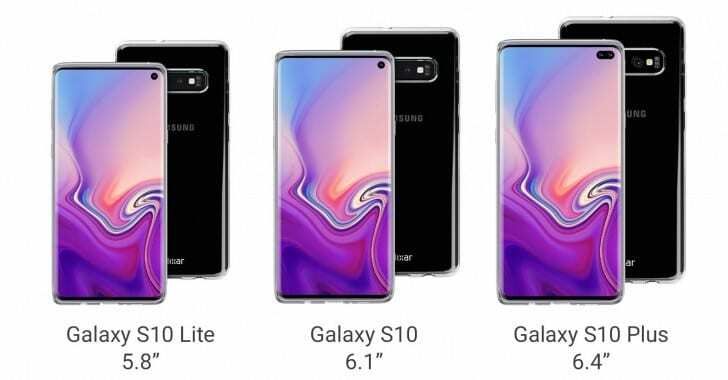 While each phone has a different screen size; the S10 E being 5.8 inches, the S10 being 6.1 and the plus 6.4 inches they all come with the brand new Galaxy Infinity O display that makes all of them look and feel new and innovative. Be the first to comment on "Has Samsung FInally Hit It Off After A Dry 2018?"